Dr. Loven began private practice in 1988. In January of 1995, the practice moved into our Goodlettsville office and was named Rivergate Dermatology and Skin Care Center. He received his medical degree from Vanderbilt University Medical School. He is board certified by The American Board of Dermatology. Dr. Loven provides general, surgical and cosmetic dermatological services. He oversees our Psoriasis Center and our Clinical Research Division. He and his wife, Leslie, have two daughters, Leah and Bethany. Dr. Digby is originally from Anniston, AL. He received his Bachelor of Science from Jacksonville State University in 2004 and his Medical Degree from Uniformed Services University in Bethesda, Maryland. He completed his Internal Medicine Internship at Eisenhower Army Medical Center in Fort Gordon, GA. This internship was followed by a tour as a flight surgeon at Fort Rucker in Alabama. Dr. Digby then went on to complete a Dermatology residency at the San Antonio Military Medical Center. 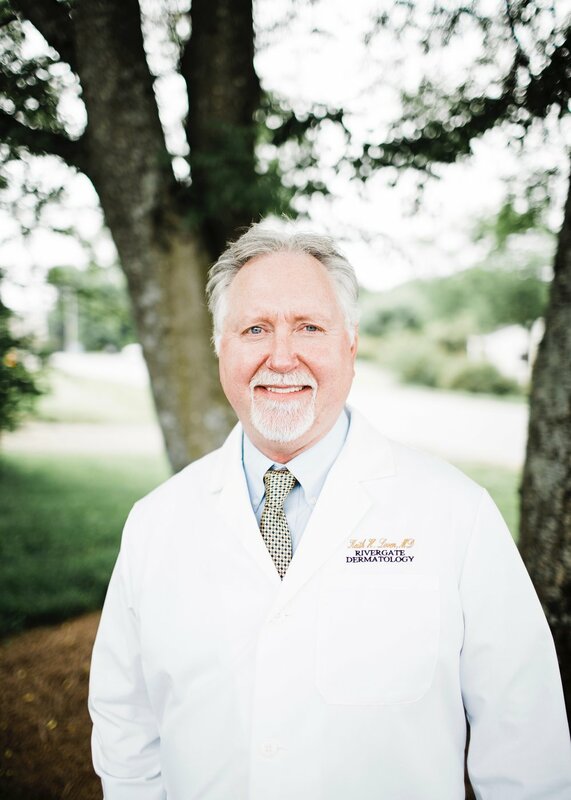 Dr. Digby will be transitioning into a full-time provider here at Rivergate in the Spring of 2019 following the conclusion of his role as Chief of Dermatology at Fort Campbell. He is a board certified fellow of the American Academy of Dermatology. Dr. Digby is passionate about being able to serve his patient’s in all facets of their dermatological needs. He also enjoys spending time with his family, as well as serving his church as both a deacon and a teacher. Ray joined our clinic as a Physician Assistant in September, 2004. He received a Master of Physician Assistant Studies from the University of Nebraska College of Medicine in December, 1999. He then received certification from The National Certification of Physician Assistants in November, 2003. Ray provides general dermatological services and minor procedures under the guidance of our physicians. He and his wife, Susan, reside in Clarksville. Cassandra received her Bachelor of Science Degree from Jacksonville State University in 2004. 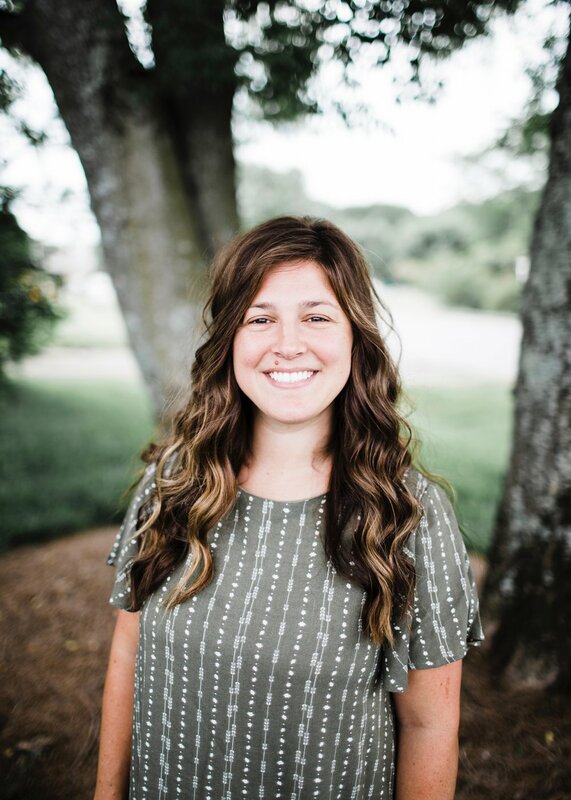 Following completion of her undergraduate studies, she moved on to complete her first master’s degree in Nursing Leadership from the Medical College of Georgia in 2009 and then obtained her second master’s degree from Austin Peay State University as a Family Nurse Practitioner in 2014. She spent 5 years working as a sedation nurse in the renal vascular and gastrointestinal fields. Cassandra has been in the Dermatology field since 2017. She is certified through the American Association of Nurse Practitioners. When she is not working, she loves to spend time with her 3 children & husband on their farm in Pleasant View, Tennessee. Lauren began with Rivergate Dermatology as a Nurse Practitioner in March, 2014. She earned a Bachelor of Science degree at Cumberland University in June, 2009. She then practiced as a Registered Nurse in orthopedics for 5 years before obtaining a Master of Science in nursing from Tennessee State University in May, 2013. She is certified as a Nurse Practitioner through the American Academy of Nurse Practitioners. Lauren provides a wide range of dermatological services as well as minor surgical procedures. Lauren lives in Lebanon, TN with her husband, Clint, and her children, McKinnon and Josie. Brandon began with Rivergate Dermatology in August 2017. He attended Trevecca Nazarene University in Nashville, TN to earn his Masters in Science Medicine degree in July 2015. He earned his certification through the National Commission on Certification of Physician Assistants to become a Physician Assistant in September 2015. Brandon provides a wide range of dermatological services as well as minor surgical procedures under the guidance of the physicians. Brandon lives in Hendersonville with his two children, Layla and Mason. Peggy has been with Rivergate Dermatology for over 19 years and has been in the medical field since 1979. Peggy worked in the Critical Care Unit at Sumner Regional Medical Center for 12 years prior to joining our team in 1998. Peggy is a Certified Clinical Research Coordinator who manages the clinical research center and the psoriasis center. Peggy is responsible for patient/subject care, assists with study procedures, drug accountability, maintaining regulatory affairs as well as educating and treating patients with biologic drugs for psoriasis. Narey has been in the medical field for 18 years with a previous background in ophthalmology, outpatient surgery, and medical/surgical nursing. Narey has specialized in clinical trials for 3 years and helps coordinate all clinical trials for Rivergate Dermatology as well as caring for patients in the psoriasis center. Narey is responsible for patient/subject care, assisting in study procedures, drug accountability, maintaining regulatory affairs as well as educating and treating patients with biologic drugs for psoriasis. Narey is currently working towards obtaining her certification in clinical research coordinating. Sally has been in the medical field for 12 years as a medical assistant and phlebotomist. She has been with Rivergate Dermatology for 1 year and specializes in patient/subject care, research assisting, light treatments, and educating along with treating patients using biologic drugs for psoriasis. Sally also manages the care of patients with acne who are taking the medication, Accutane. Margarete is a native of the Nashville area, growing up in and around Madison and Goodlettsville. She graduated from Hunters Lane Comprehensive High School then went on to obtain her aesthetic license from the State of Tennessee in June of 2000. Margarete has a passion for skin health and an eye for aesthetics. She has a combined total of 8 years working in the dermatology field, 6 plus of those being with Rivergate Dermatology. Margarete brings an understanding ear and nurturing touch to her interactions with clients as she assists them with skin care concerns. Whether it be a relaxing facial, chemical peel, microdermabrasion, microneedling, brow wax or tint, you can be sure that your experience will be one of genuine care and concern! Edie was born and raised in the western parts of Kentucky and relocated to the Nashville area in 2002. She has 17 years of diverse nursing experience as a surgical nurse and management in peri-operative nursing. Edie enjoys providing a positive patient experience and ensuring her patients are comfortable during their visit. She prescribes to the philosophy of “less is more” while providing subtle, yet desired beauty enhancements. “You don’t want everyone to know you just had a cosmetic treatment. You want people to look at you and say, ‘Wow! You look so rested and refreshed!’” Edie lives in Gallatin, Tennessee with her husband Casey and two daughters, Ivy Grace and Linen. Lindsey began with Rivergate Dermatology in August 2007 as a front office staff member. She has transitioned through several different positions in the practice. She accepted the position as office manager in August 2017. Lindsey has two boys, Kason and Knox.